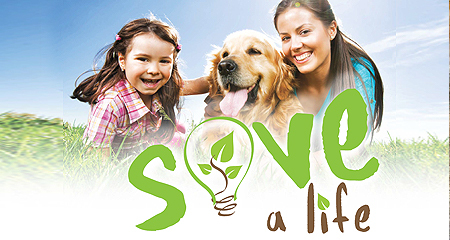 Moreno Valley Animal Services offers a wide range of services, including dog licensing, low-cost spay/neuter programs and vaccination services. Dogs and cats are available for adoption at the animal shelter for a nominal fee. 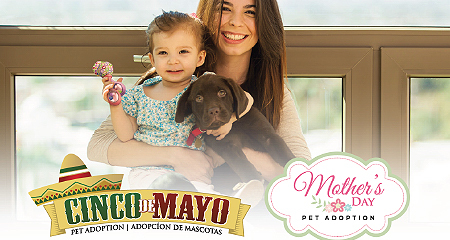 The Moreno Valley Animal Shelter is located at 14041 Elsworth Street, between Cactus and Alessandro. To report a sick, injured or aggressive animal, please call the Riverside County Sheriff’s Dept. at 951.776.1099, and press Option 5 to contact a live person at the Dispatch Center. The Dispatch Center will contact the on-call Animal Control Officer. Be sure to disable call blocking on your phone before calling. 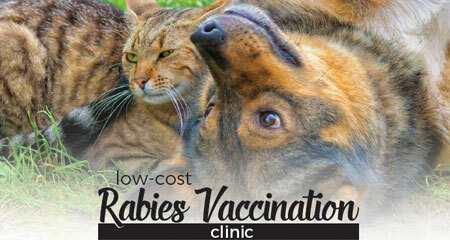 Rabies vaccination will be provided at a low cost of $6 per pet. Vaccination may be paid in cash or debit/credit cards. Sorry NO CHECKS accepted. Also, we have a one-time $10 Microchip promotion during the Low-cost Rabies Vaccination Clinic. $60 dogs/puppies and $5 cats/kittens. Cost includes spay or neuter surgery, vaccines and HomeAgain microchip. Pets adopted that have not been altered will stay for surgery and will be available to go home on the afternoon of the day surgery is scheduled. $5 cats/kittens. Cost includes spay or neuter surgery, vaccines and HomeAgain microchip. Pets adopted that have not been altered will stay for surgery and will be available to go home on the afternoon of the day surgery is scheduled. All dogs four months and older in the City are required to be licensed. The City has a full-service animal clinic with low-cost vaccines and spay/neuter services. Adopt your next pet from our animal shelter. Be sure to see the Pet of the Week. The City provides access to Pet Harbor for you to search for a lost pet.